The beauty and durability of a handcrafted solid natural wood door will transform an ordinary room into a truly special interior space. We are best known for our custom sliding interior barn doors and other out-of-the-ordinary solid wood interior door designs. Interior doors for paint grade applications should be ordered in your choice of standard poplar or maple upgrade. If your preference is for natural wood, many attractive choices are available to you. 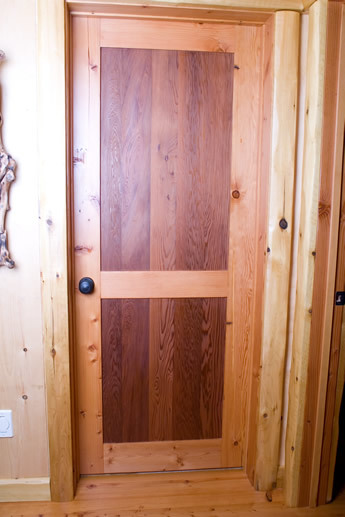 Some of the more beautiful and popular wood choices for custom interior door applications include red oak, cherry, mahogany, walnut and quarter sawn white oak. We have reclaimed wood and many other options available as well. If you have something unique in mind, give us a call and we’ll do our best to find it for you. 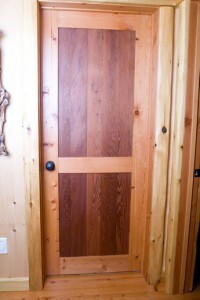 Natural wood doors are available ready-to-finish or pre-stained – call us to discuss options. All our custom interior door designs come pre-hung on an interior jamb. Top-quality hardware is included with each order. We ship doors to any location in the continental United States. 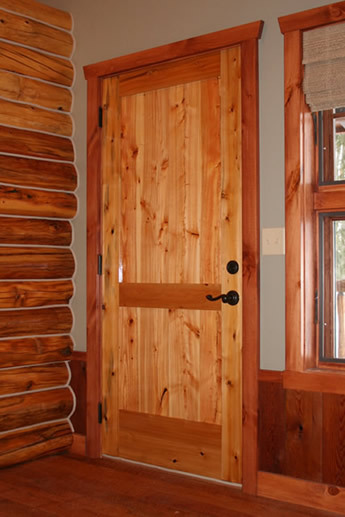 Ready to explore custom interior door possibilities to complement your home, camp or cabin? To speak with a Turtle River Millwork design specialist, contact us here.